In China, children with autism are known as “children of stars in the sky.” The phrase refers to their trouble communicating with the world around them – suggesting they act as though they are from another planet. 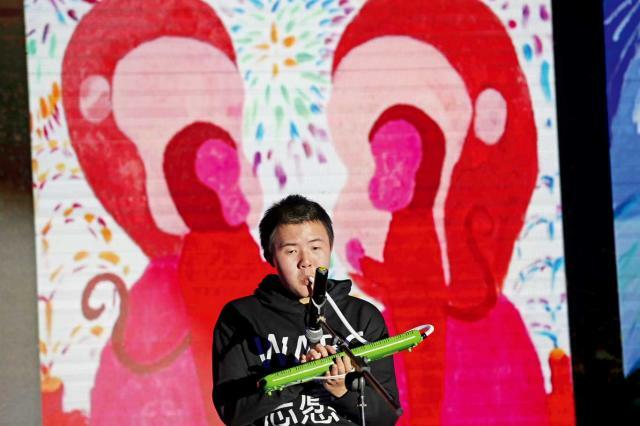 The World of Art Brut Culture (WABC), an artistic charity, aims to “bring those children back to earth from the stars,” says founder Miao Shiming. The non-profit organization provides free art therapy and social integration programs for children with neurological conditions and learning disabilities. Such children can receive a mixed response when they begin to “return to earth.” In August, WABC and the Shenzhen-based Aiyou Future Foundation launched an online charity fundraising campaign. 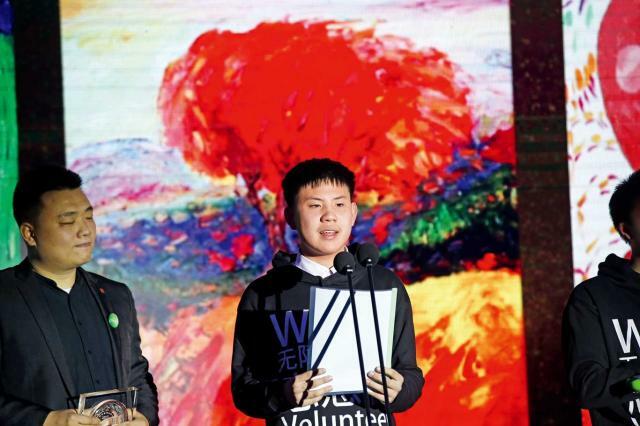 Users of social media app WeChat were able to buy digital paintings drawn by clients of WABC, with the sales revenue donated to improving the living standards and social integration of the people with mental disorders. Within one day, nearly six million donors had spent about US$1.7 million on the digital art. However, some suspected the paintings were not created by WABC clients, but by their parents and teachers. A post criticizing the campaign for “romanticizing” the group as a whole triggered public concern that the majority of children with learning disabilities – who may have no special artistic talents – would be further marginalized by society as a result. It was the first time that WABC and autistic children in general had attracted widespread attention in Chinese society. Since then, Miao has been asked to give speeches nearly every second day on the subject of autistic children, including to psychologists and education professionals, the business community, and government officials. He has seized the opportunity to challenge public misconceptions about autism. Miao does not think he is just helping those people and their families. Rather, he believes they are promoting mutual respect. For a long time, WABC promoted a mission of “finding China’s Van Gogh.” But in Miao’s speeches around the country over the past three months, the mission has transformed into bringing love and beauty to everyone. At WABC, students express themselves through the process of drawing, but are not expected to become artists. “Everyone is able to express love in this way. You can simply draw a line that nobody else likes, and it is your right to do so,” Miao said. It has been a long road for both Miao and WABC. Communicating with others was very difficult for Miao when he was a child, and he often witnessed his parents quarelling. Later in life, he realized he found it easier to build emotional connections with non-neurotypical people. It was 2009 and he was planning an exhibition – “Everyone Is An Artist” – a project for the first Beijing 798 Biennale. He needed to provide free drawing courses for people from marginalized sectors of the society. Fourteen people, including those with conditions like autism, joined his one-month training course. One of them, a man in his 40s who suffered brain damage as a result of a traffic accident, would sketch people in various postures each day. It seemed like a way for him to try to express his feelings. “Every line in his painting came from the bottom of his heart; he was a better artist than me,” Miao recalled. 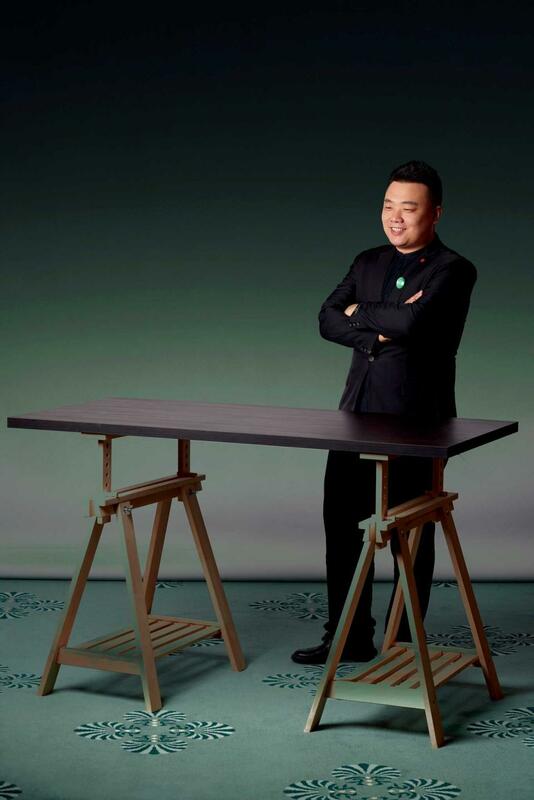 With this memory, Miao left Beijing the next year for Shanghai, where he founded WABC. Miao’s very first job was running a training class for high school students preparing for the entrance examination for the China Central Academy of Fine Arts, which Miao graduated from. The courses had to cater to artistic standards that aimed for sophistication and perfection. Miao never liked this. He worked on his own art and became an art exhibition promoter, but was still haunted by the sense of loss in life. “WABC makes my life feel real,” he told NewsChina. WABC shows students how to develop their art skills, and tries not to interfere with the way students use those skills to express themselves. At a painting lesson in Beijing on September 2, five autistic children, accompanied by their mothers, were learning how to draw sunflowers. “Leaves are green; it is wrong to have blue ones,” a mother told her son. “Let his feelings guide him; Van Gogh used to paint the sky red,” Gao Hua, their teacher, told the mother. There is still a long way to go for Miao, the WABC, and social acceptance of autism. All students at WABC are called “little friends,” which Miao explains is because mentally they can resemble children, even if they are physically adults. “The Sea,” a painting by 23-year old Li Jielin, was the best seller of the 15 available on WABC’s online fundraising campaign in August. It has become the screensaver for hundreds of thousands of Chinese phones. A few days after, he drew at an art exhibition in Shanghai and the process was broadcast live online. This was in response to doubts over whether autistic people had really produced the works being sold. Indeed, even many parents do not believe there is a way for their autistic children to express themselves. They face enormous economic and psychological pressures. Mothers tend to be more desperate than fathers, Miao says. After meeting many families with autistic children, he has found mothers often blamed themselves for burdening their families, and were reluctant to expose them to the world around them. But some of the “little friends” at WABC are now teachers themselves, and many of their mothers work as volunteers. Several WABC students now have contracts with the organization to produce art. They are rewarded with dozens to hundreds of US dollars every month, depending on the economic background of their families and the value of their work. Miao is very cautious about how the public might view this. He stressed that the money was to “improve self-confidence,” not to “provide job opportunities” to the group. Generally, verbal and emotional progress is seen in “little friends” who attend WABC. However, it takes time, and WABC faces pressure from some parents, who expect to see immediate improvement or find jobs for their kids. “We focus on mutual respect between people,” Miao says. About 2,000 “little friends” have joined WABC so far – around 30 percent after the August campaign. If WABC improves both public understanding and the communicative ability of “little friends,” then it will be easier for the two to mix. For Miao Shiming, the great attention, whether support or skepticism, could help him realize his dream faster than he had expected. WABC is designing a research institute to assess the impact of art therapy for the group. It also plans to upgrade its website, public WeChat account and app. It will be on zhihu.com, a popular knowledge-sharing platform. In Miao’s heart the dream of an artist remains. “Probably, I can retire earlier than expected,” he told NewsChina. After retiring, he plans to return to painting. An estimated two million Chinese children under the age of 14 have autism, and far more have other learning disabilities. Debates on the cause of such disorders and whether the groups can integrate into society have been more prominent in China of late. Parents of autistic children are more concerned about who will take care of their kids in the future. At a forum on mental disability held in Shanghai in November, Zhang Canhong, the mother of a 17-year old autistic child and the founder of an organization for autistic children, told The Paper that it was much more important to train autistic children to cope with the needs of daily life, like dressing themselves, than integrating them into society. For the “little friends,” the increased attention offers the hope of a friendlier and more understanding society.